A bathroom is a room in the home or hotel for personal hygiene activities, generally containing a sink (basin) and either a bathtub, shower, or both. In most countries, the toilet is included in this room, for ease of plumbing, whereas other cultures consider this insanitary, and give that fixture a room of its own. In the bathroom, lots of stainless steel fittings are assembled for washing or decorating purpose. Due to the large demands of bathroom and toilet fittings, most of them are produced in stainless steel casting process. Stainless steel casting is the metal working process mainly used to produce top precision stainless steel components. This casting type mainly manufacture stainless steel bathroom and toilel fittings in material 304(L) & 316(L). Duo to the small structures of bathroom and toilet fittings, all these stainless steel components are manufactured in silica sol casting, which belongs to lost wax casting process. Why Stainless Steel Casting for Bathroom & Toilet Fittings? One such advantage is that the silica sol casting process can produce bathroom & toilet fittings in extreme precision it allows to achieve. If using iron casting, there is lots of finishing work to be done, which is virtually unnecessary when casting in steel. The part comes out almost ready to use, after minor surface finishing if any at all. One of the other advantages of stainless steel cast bathroom & toilet fittings, is its rust resistance. Iron and other metals will rust when exposed to water or humidity if not treated and/or rigorously maintained. The cost of stainless steel casting for bathroom and toilet fittings is also lower. It is correct that the stainless steel casting process costs more initially. The cost is reduced hover, by the lack of need for heavy part finishing (and the material loss it entails), as well as by another major factor – part longevity. The durability of stainless steel cast parts is exceptional and far exceeds that of other metals and alloys. When you may save on purchasing iron cast parts in the short term, you can be sure of a more considerable loss in the long run. A loss you can save by choosing steel casting. For the best stainless steel cast bathroom and toilet fittings, CFS Foundry is a reliable supplier. We offer affordable pricing without compromising on quality. 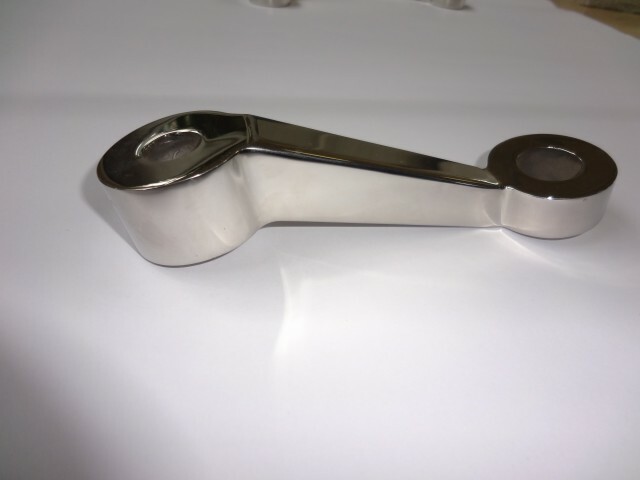 With convenient delivery by sea or by air, we customize all types of bathroom and toilet fittings by stainless steel casting, having them shipped directly from our factory to your destination. At CFS foundry, we adhere to strict ASTM and ISO regulations, making us a trusted stainless steel casting supplier for your bathroom and toilet fittings. What’s more, we also provide electropolishing and mirror polishing service after casting. This provides you with the value added service that is needed for bathroom and toilet fittings. Contact us if you need to source stainless steel casting service in China.